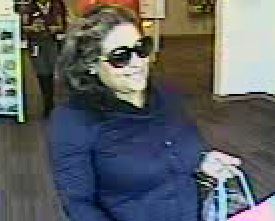 Franklin Police want to identify this woman, wanted for using a stolen credit card to buy two iPhones from the Mallory Lane Verizon Wireless store on October 30. Detectives made this surveillance photo available today, hoping someone might recognize the suspect. Information about her is worth up to $1,000 with an anonymous call to Crime Stoppers: (615) 794-4000. A Florida teen, visiting Franklin, missing since last Saturday has been safely located. A Franklin man on a layover in an Atlanta Greyhound station recognized the teen from a Franklin PD news release and called Franklin Police. The teen boarded a bus that took him to Huntsville, AL where police located him at the home of a family he had recently met. That family did not know the teen’s age, or that he had been reported missing. 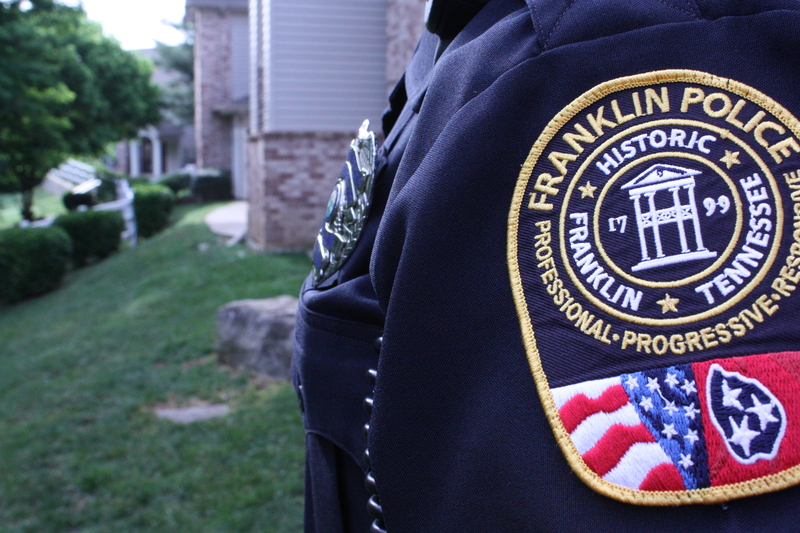 “A well informed public can make a world of difference in cases like this,” said FPD spokesman Lt. Charles Warner, crediting the traveling Franklin man with helping police safely locate the teen. While many are gearing up to travel this holiday season, Franklin Police Officers want to offer you a little extra peace of mind. While you are away, neighborhood officers will help keep an extra eye on your home. To take advantage of this free service, complete this online form or call (615) 794-2513. November 27, 2015 UPDATE: A Florida teen, visiting Franklin, missing since last Saturday has been safely located. A Franklin man on a layover in an Atlanta Greyhound station recognized the teen from a Franklin PD news release and called Franklin Police. 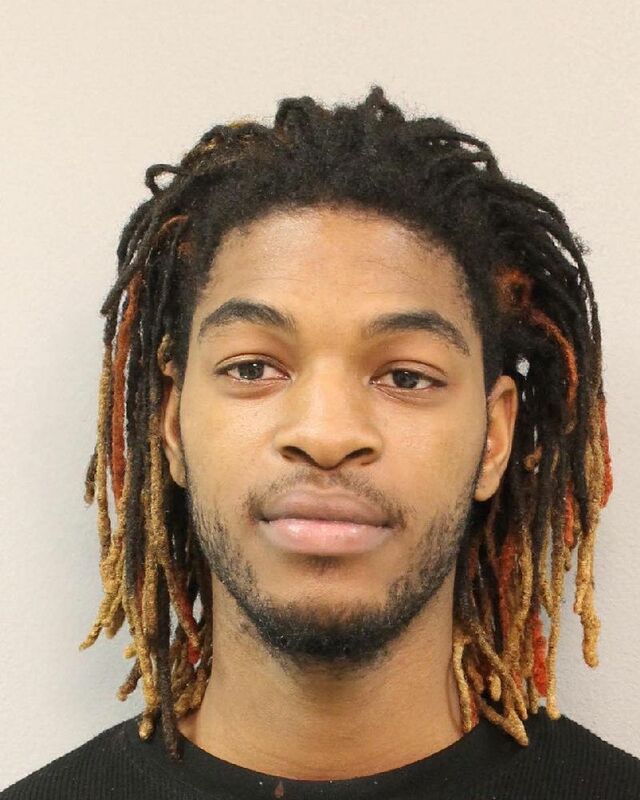 The teen boarded a bus that took him to Huntsville, where police located him at the home of a family he had recently met. That family did not know the teen’s age, or that he had been reported missing. November 24, 2015: Franklin,TN: Andrew Slingsby, 16, of Florida, was last seen Saturday afternoon in the Walmart parking lot on Mallory Lane. The Florida family, destined for Ohio, had stopped their RV to take a break. During that break, there was a minor family disagreement. That disagreement led to Andrew suddenly leaving the RV with his hiking equipment, including a small tent. He has not been seen or heard from since. Andrew’s parents say this is very out of character for him, and are extremely concerned. They are asking for the community’s help with finding their son and bringing him safely home. 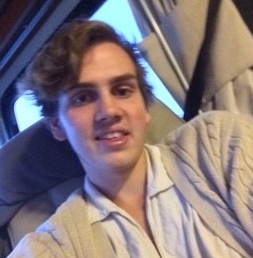 If you have any information on Andrew’s whereabouts, call Franklin Police at (615) 794-2513, or call 9-1-1. 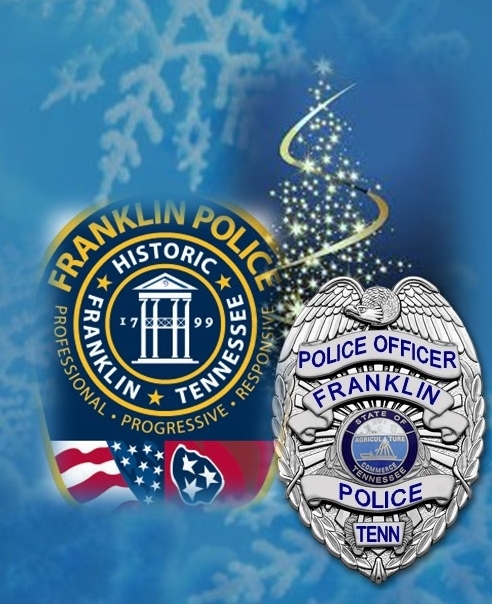 Franklin, TN – With Black Friday days away, Franklin Police will deploy a security plan designed to safeguard shoppers while deterring, detecting, and apprehending lawbreakers – especially at the city’s shopping venues. An increased combination of highly visible patrols by uniformed officers in marked units, and plain-clothes officers in unmarked cars, will concentrate on Franklin’s shopping districts between now and Christmas. 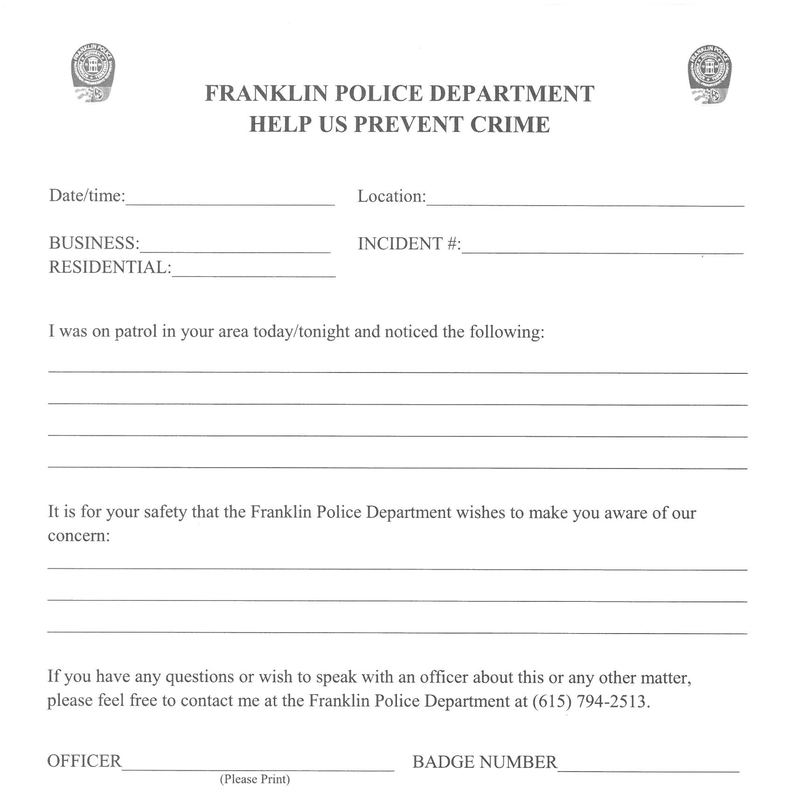 Franklin Police will work closely with the District Attorney’s Office to ensure shoplifters, identity thieves, auto burglars, and other criminals who take advantage of this busy time of year are prosecuted to the fullest extent of the law. The Franklin Police Department will staff a temporary command post at the CoolSprings Galleria through the remainder of the Christmas shopping season.